Papa John's in Westminster, Colorado, U.S. August 1, 2017. 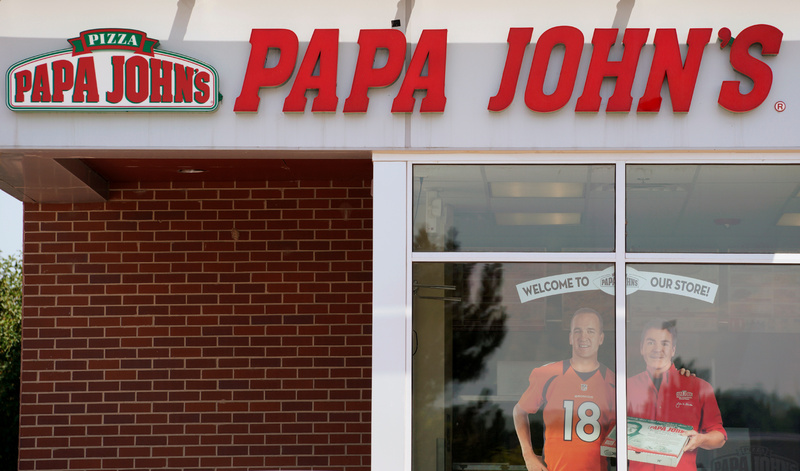 Nelson Peltz’s investment fund Trian Fund Management is considering a takeover bid for Papa John’s International, according to a report in the Wall Street Journal, citing people familiar with the matter. Trian, which is among several interested bidders according to the report, also owns 13 percent of fast-food restaurant chain Wendy’s. In July, Papa John’s adopted a poison-pill mechanism that would allow the board to dilute an investor whose stake passed 15 percent. Founder John Schnatter, who resigned as chairman after Forbes reported he had used a racial slur in a company conference call, owns more than 30 percent along with affiliates. The poison pill would be triggered if that were to rise above 31 percent. Schnatter and Papa John’s Chief Development Officer Tim O’Hern met with Wendy’s Chief Executive Todd Penegor at a private airport in Columbus, Ohio, in June, the Wall Street Journal said.